Mom's Gone Bronson! : #HOT Possible $6.71 Money Maker at CVS!!! O.K folks, this is HUGE!! 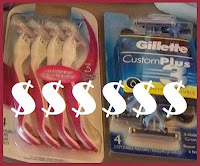 You could be in for a whopping $6.71 money maker at CVS this week if you have a B1G1 FREE Gillette Disposables coupon!! 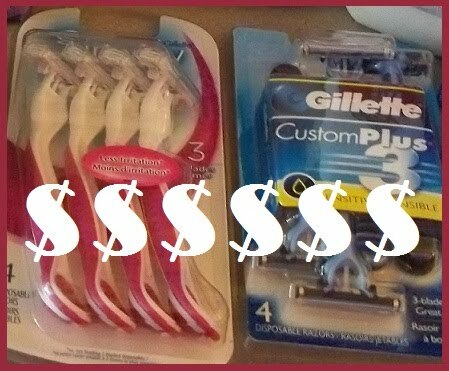 USE: B1G1 FREE Gillette Disposables coupon from previous inserts, which MIGHT scan for the full $12.99 coupon value as it is being reported by some people! You MAY even get an extra dollar or two in your pocket if your store allows cents off coupons with B1G1 coupons but even though the manager of mine said it should be OK, it didn't scan and so they didn't take it! Always worth asking though! **Disclaimer: I am in no way associated with CVS, Gillette or related brands/products. All thoughts and opinions are my own and you should use coupons properly and responsibly! Thank you! Thank you so much! I will have to make a shopping trip today!